Waterside Dental Care (New York) - Book Appointment Online! 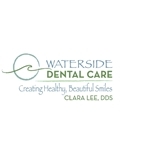 Creating Healthy Beautiful Smiles At Waterside Dental Care, our priority is to deliver quality care to informed patients in a comfortable and convenient setting. Quality Care At Waterside Dental Care, we believe that a dentist and a patient become a team when treating an individual's dental needs. Our doctors spend most of their time listening to understand your concerns and responding with the best treatment options for you. Dr Clara Lee and Dr Jean Furuyama's experiences and passion for dentistry are coupled with their genuine concern for their patients. Everyone on our team is dedicated to your comfort and prompt attention. You benefit from a dedicated team of trained professionals who give you the individualized attention you deserve. Our goal is to keep your teeth healthy and your smile beautiful. Unfortunately she had to refer me to a specialist to do the root canal work.